I did enjoy a bowl of soup that my daughter made, that included kale. I think a serving of kale makes the whole meal healthy. You must have been in stealth mode, Mike. That’s a good photo. I was on a slightly elevated boardwalk for that shot. 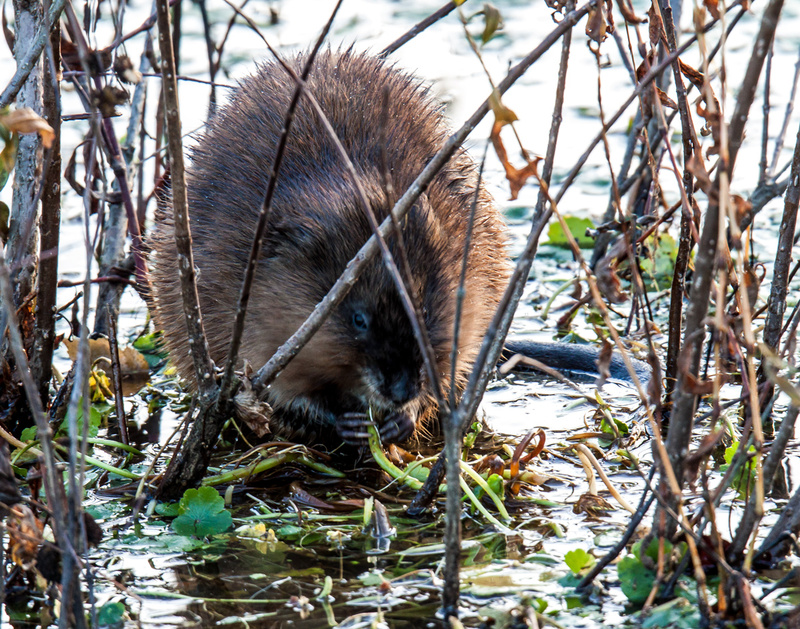 The muskrat was oblivious to my presence. The challenge for me was to maneuver myself to get a visual tunnel that me get as unobstructed view as I could. This little guy is so cute! You are right about the healthiness of his meal and mine. Happy Thanksgiving!